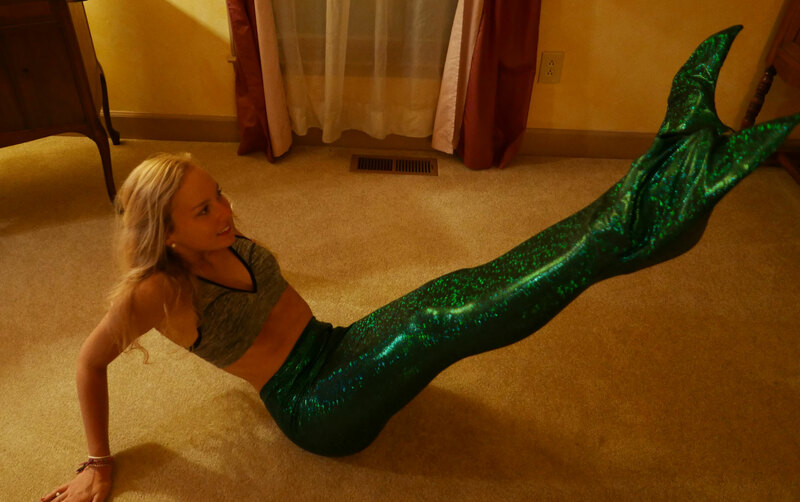 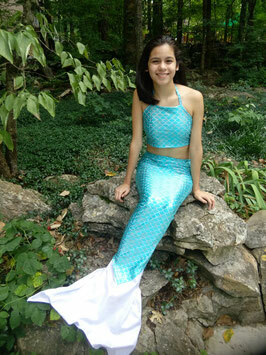 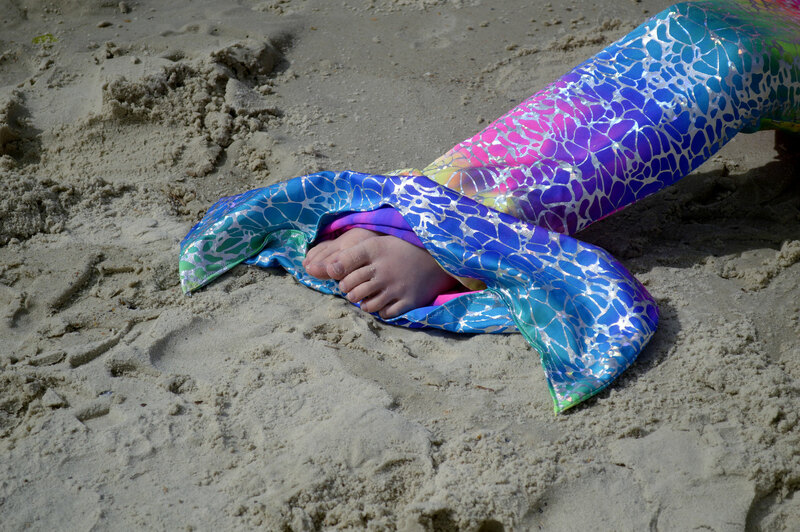 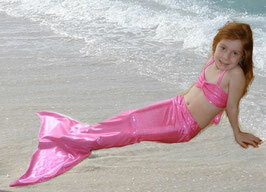 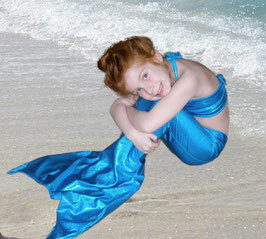 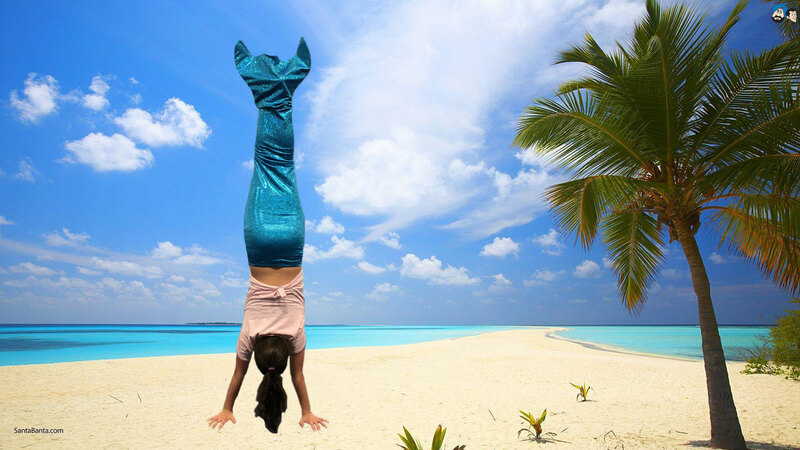 This mermaid tail has been designed specifically for mermaid gymnastics. 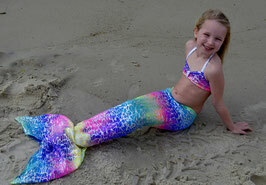 The fluke has a flexible layer of foam that helps the tail keep its shape while doing gymnastics stunts. 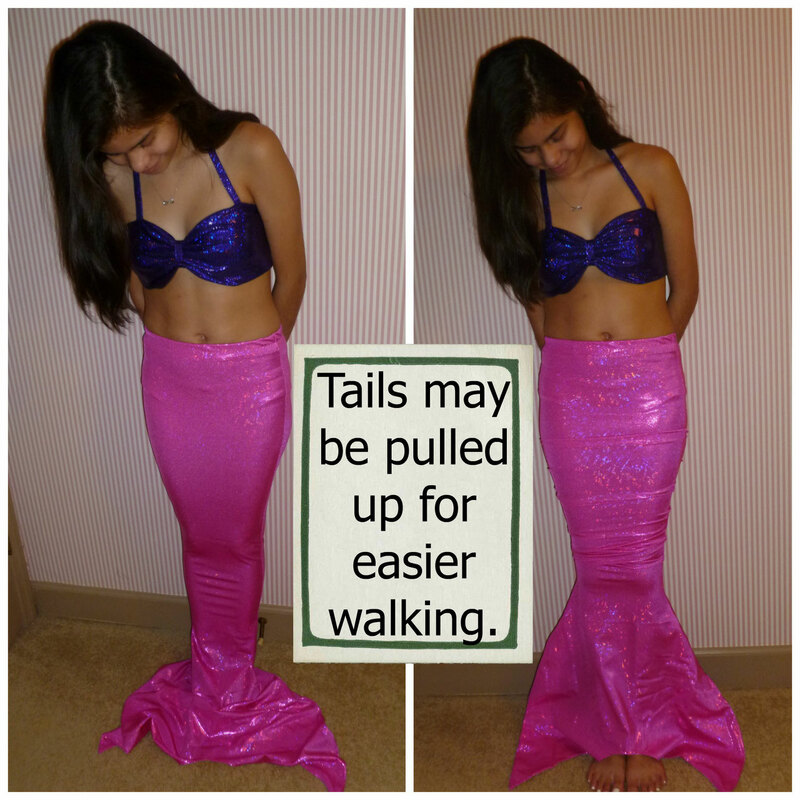 Tails close at the bottom with velcro and easily open for walking. 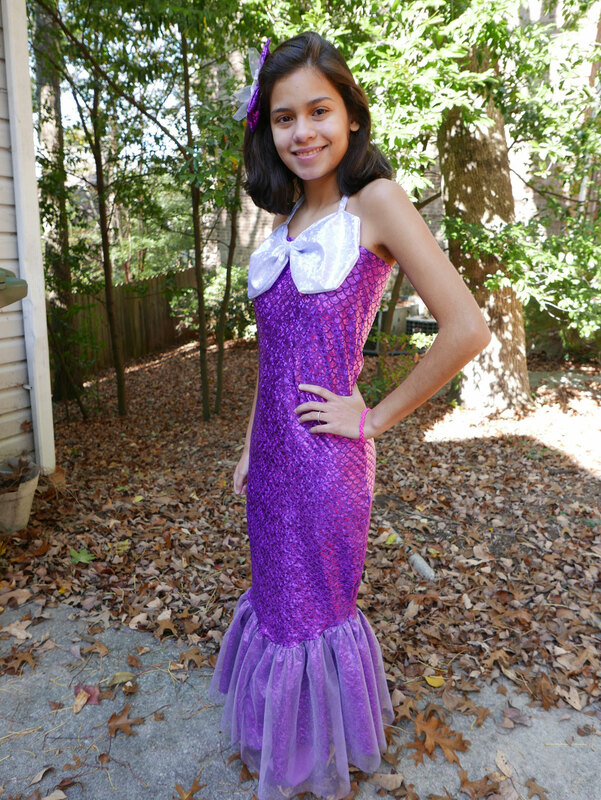 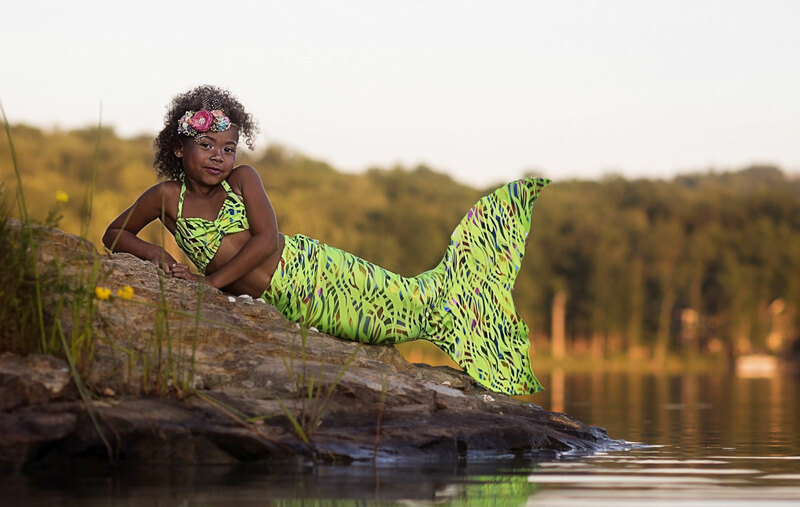 This mermaid dress is easy to walk in and makes a wonderful dress-up outfit. 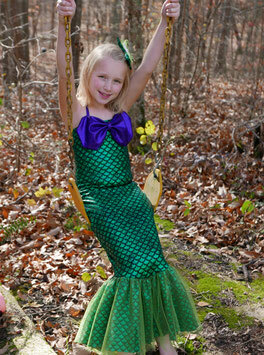 Available in shimmery green or purple scale fabric with a tulle mermaid fluke ruffle. 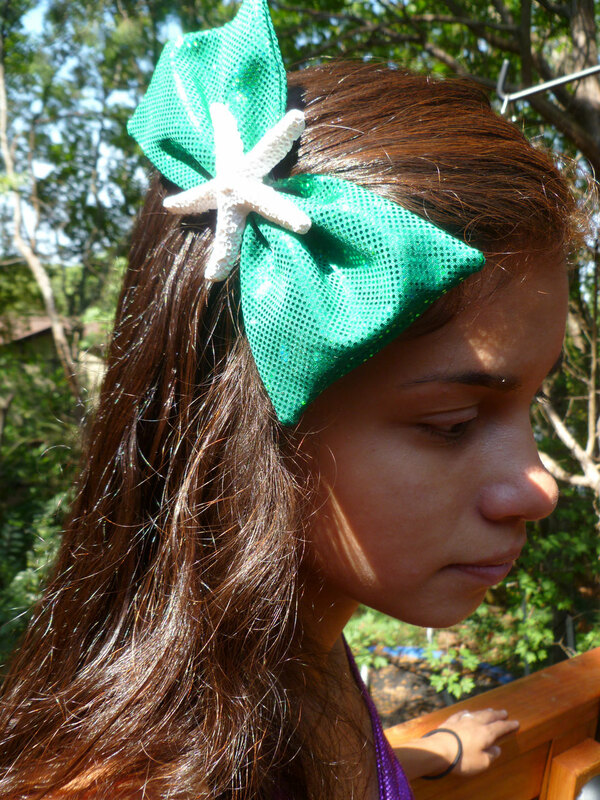 Matching starfish hairbow is also available. 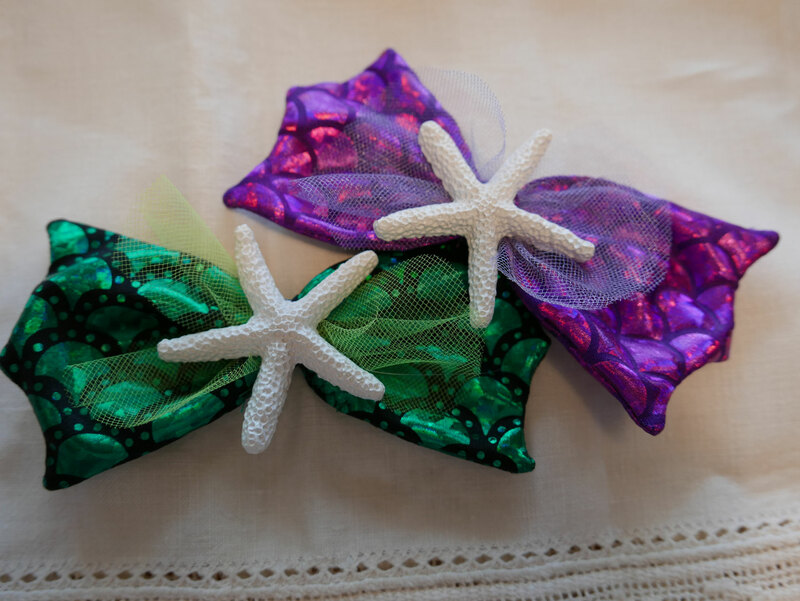 Please add a note to your order to specify green or purple. This beautiful rainbow fabric is embellished with splashes of silver hologram foil. 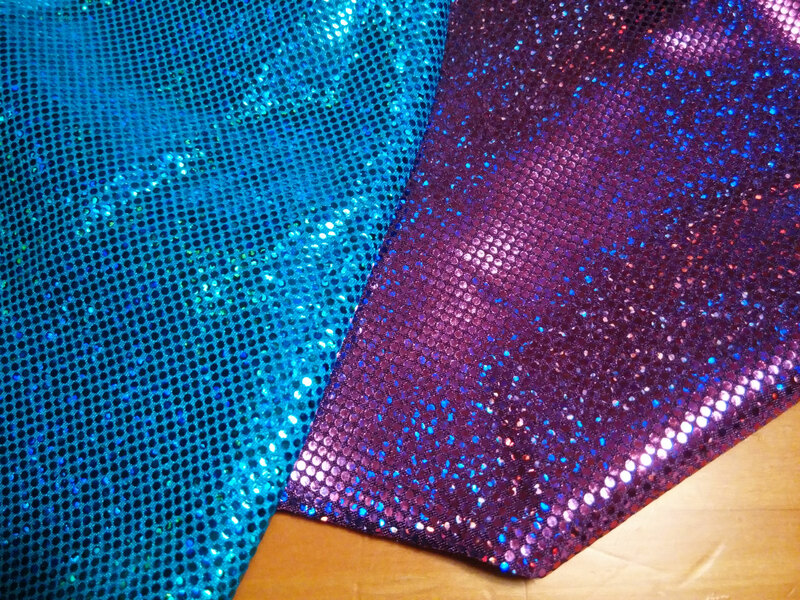 This fabric WILL BLEED COLOR and fade. 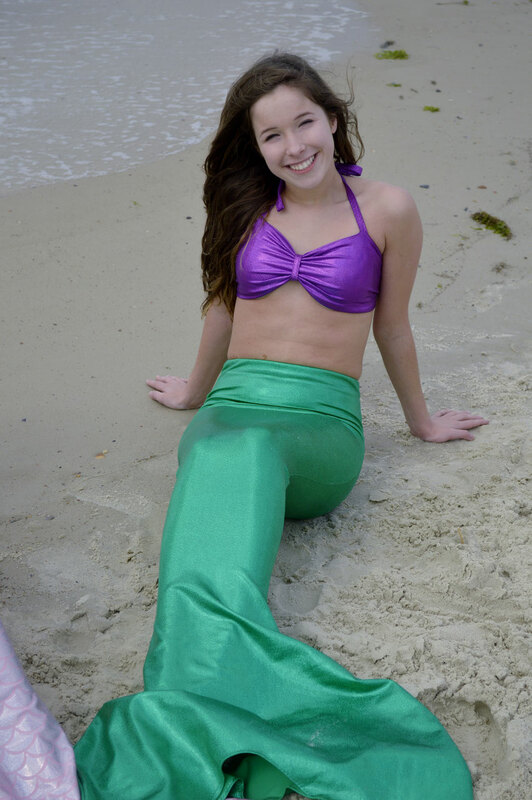 This sparkly green tail is cute paired with a purple top to look like Ariel! 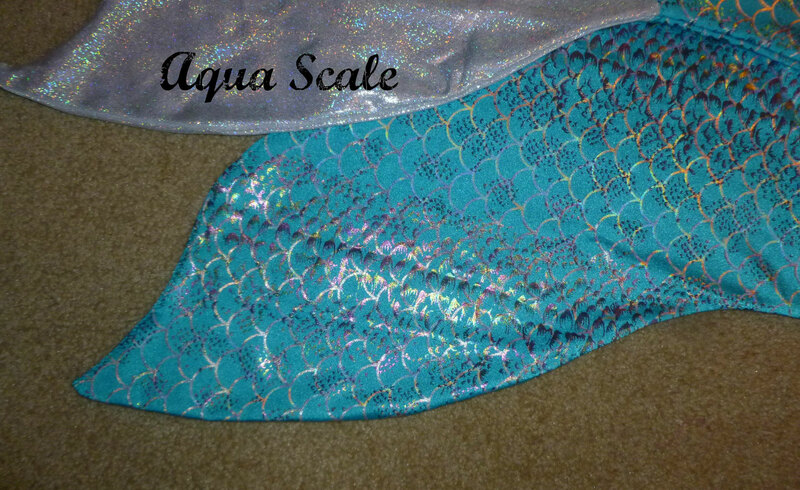 Choose either blue or aqua scale fabric. 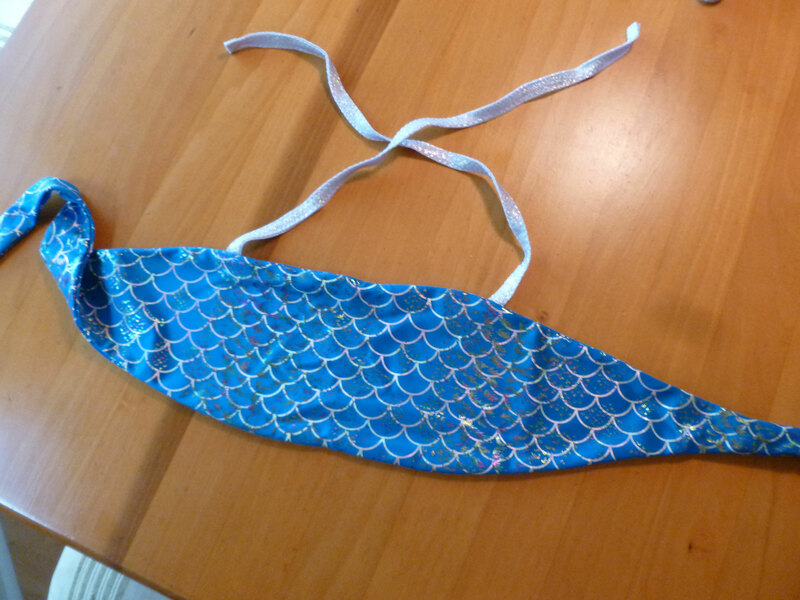 Please add a note if you would prefer a white fluke as shown in the first photo. 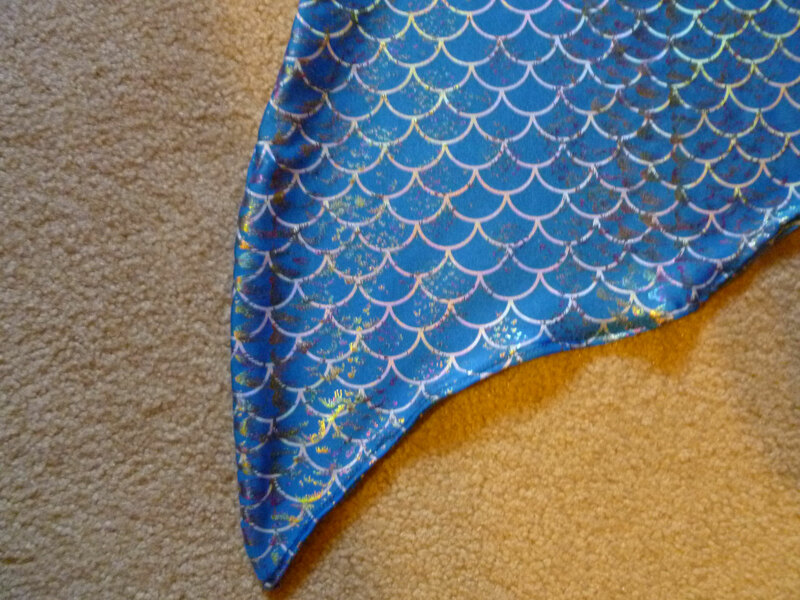 Otherwise the tail will be all the same fabric. 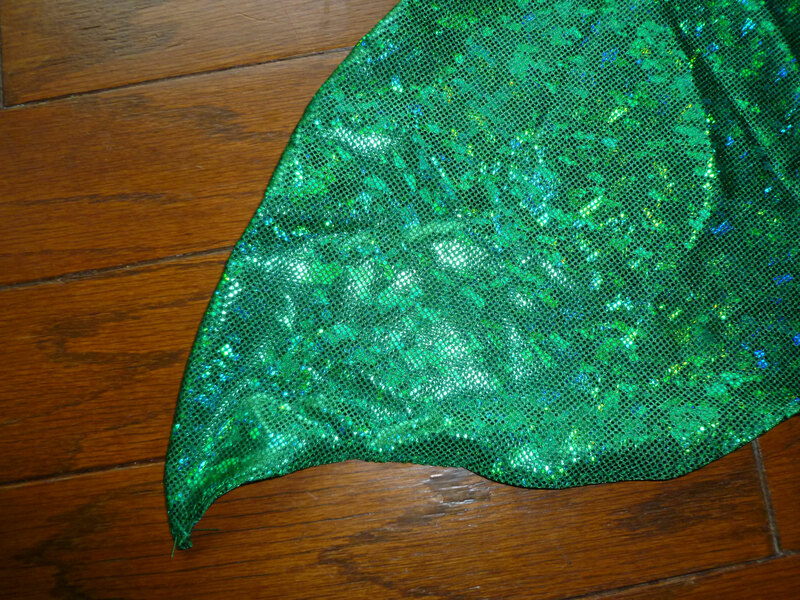 The closeup photos of the fabric are the most accurate for color. 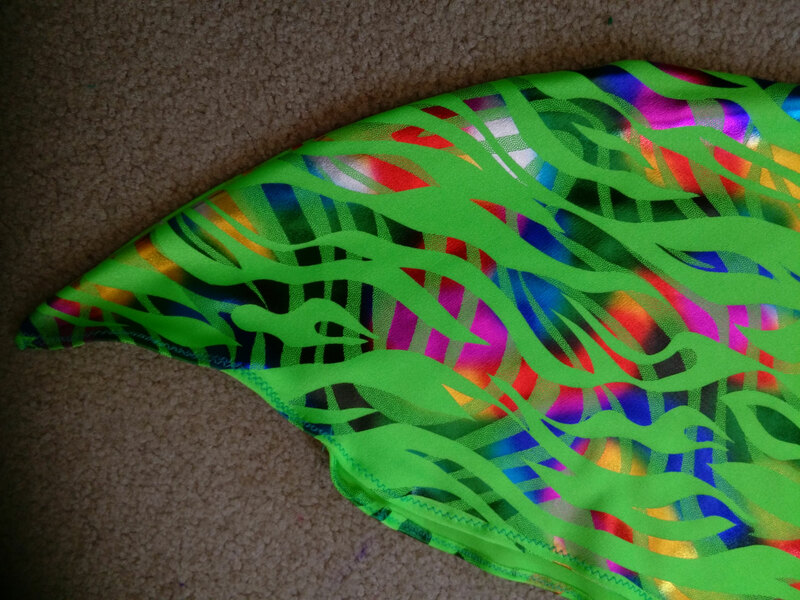 This fun design features pink and black leopard spots on turquoise polyester/spandex fabric. Hologram flames on a neon lime fabric. 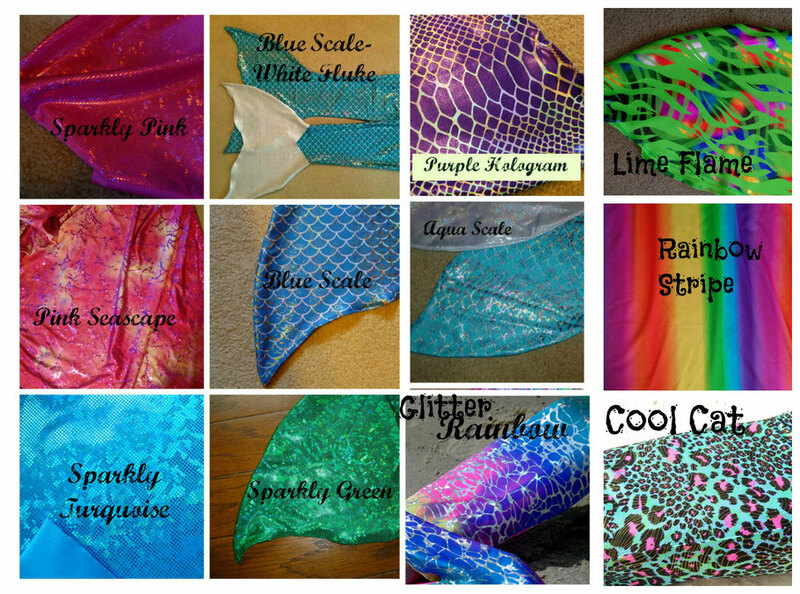 Choose a top to match or contrast your tail! 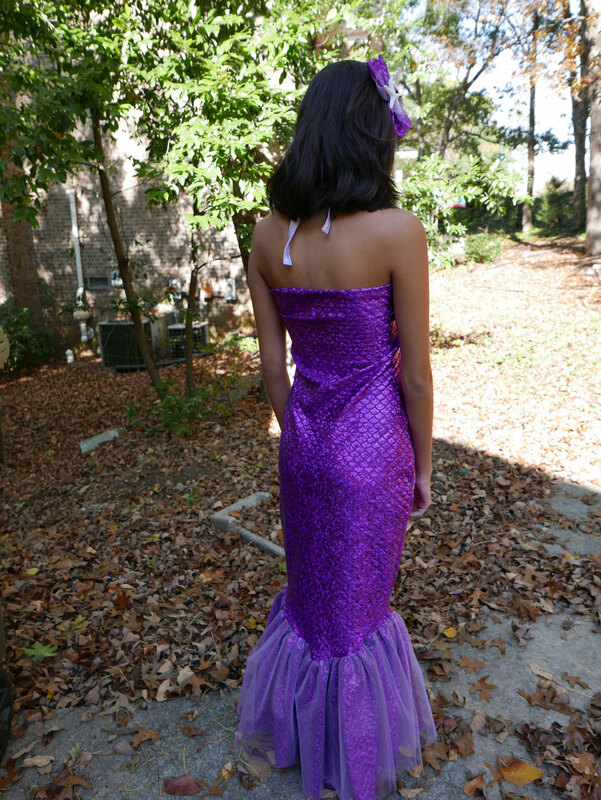 Tops tie at the neck and back for a perfect fit. 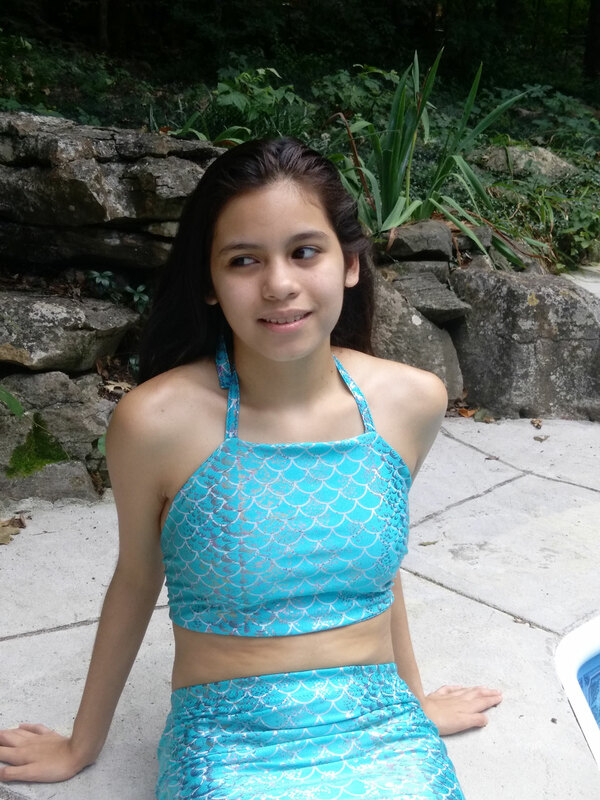 The center ring on the bikini top is removable for a different look. 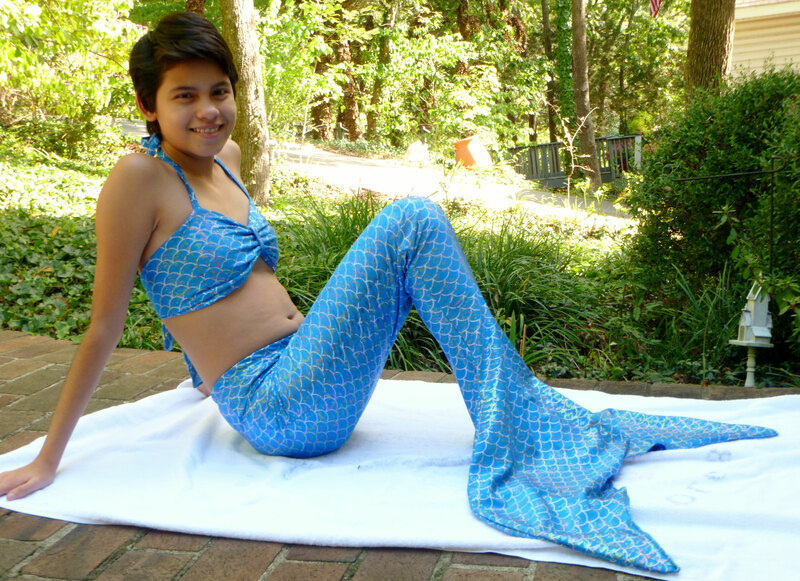 I will send a top of the same size and color as your tail. 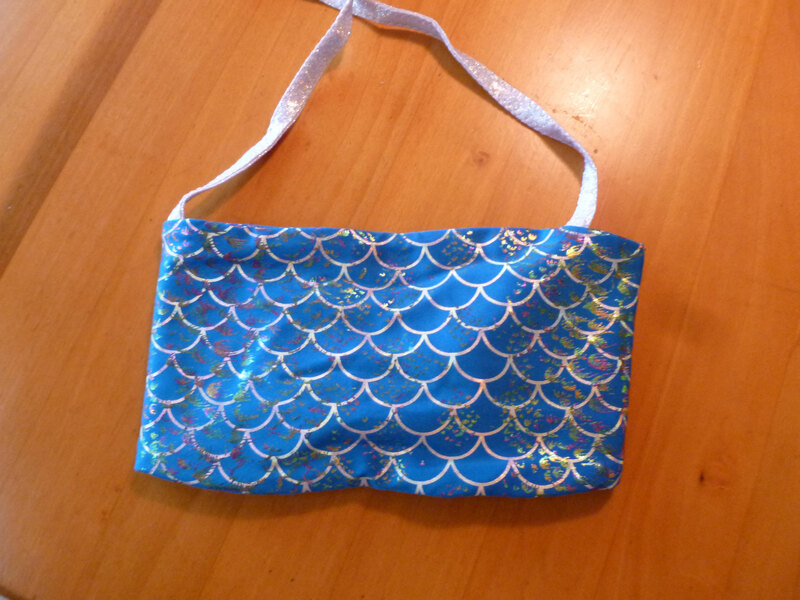 If you prefer a different color top, just leave a note on your order with your request! 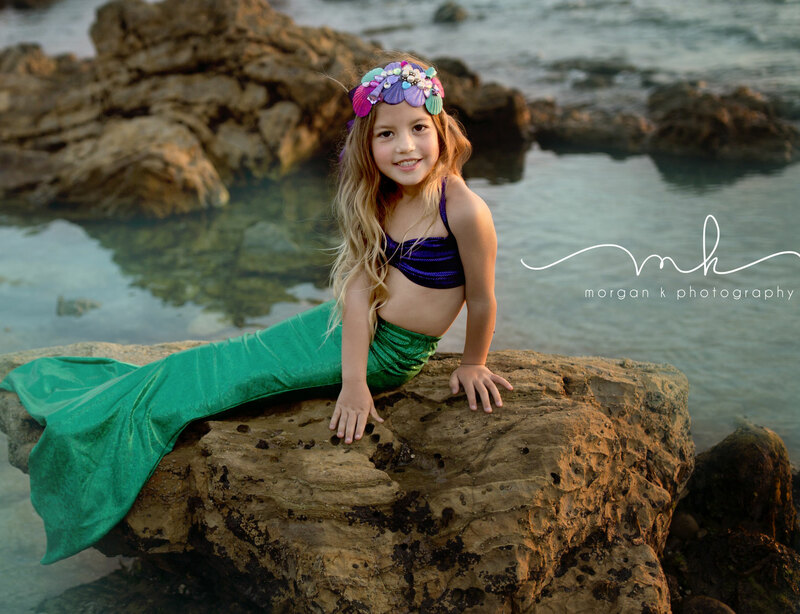 These sparkly fabric and tulle hair bows are the perfect accessory for your mermaid tail. 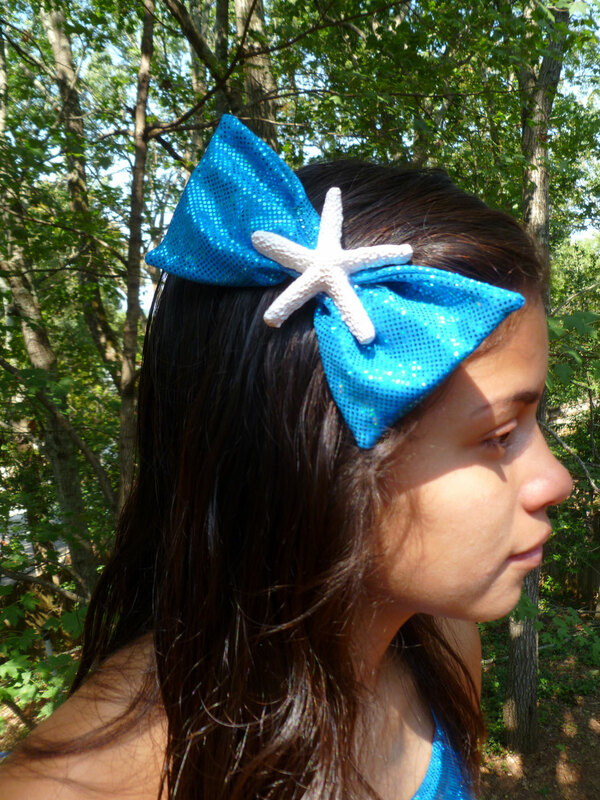 The bows are attached to an alligator clip and are embellished with a resin starfish. 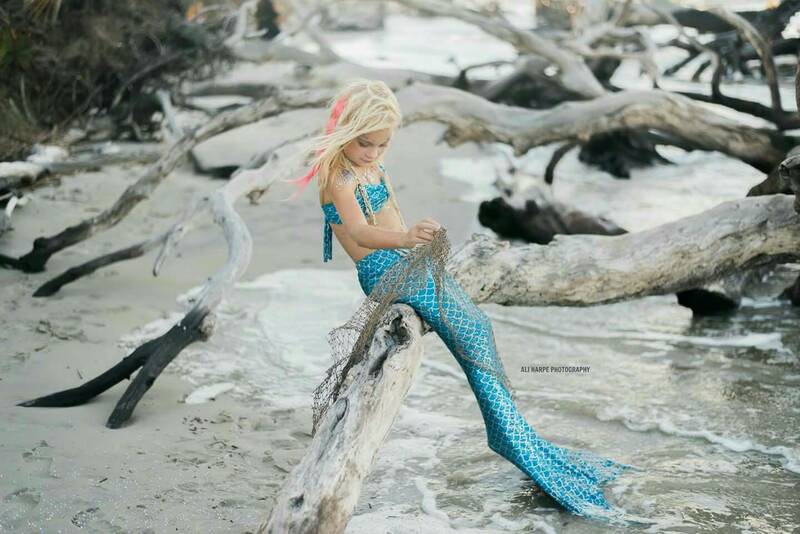 GREAT FOR MERMAID PHOTO SESSIONS! I'll send a bow that matches your tail. 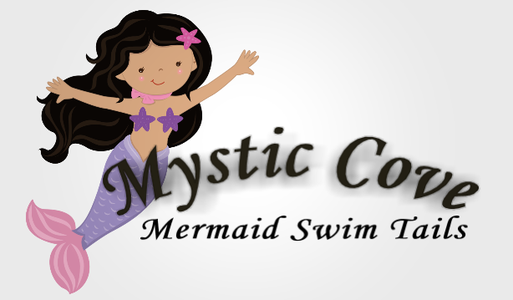 Just leave a note if you want a different color! 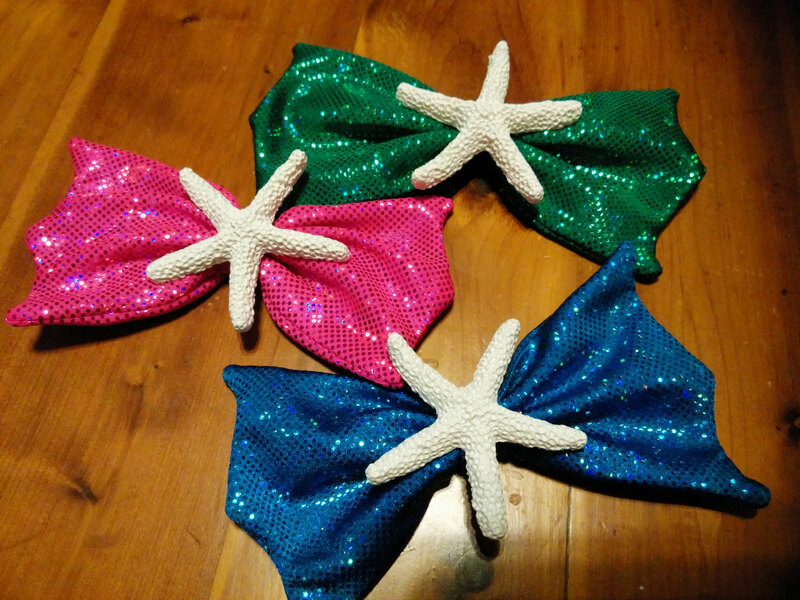 Bows are approximately 5" x 3". I don't advise swimming with the bow, since the alligator clip may rust when exposed to water.